Looks like Marty Markowitz’s troubled overseas PR trip may have actually borne fruit. 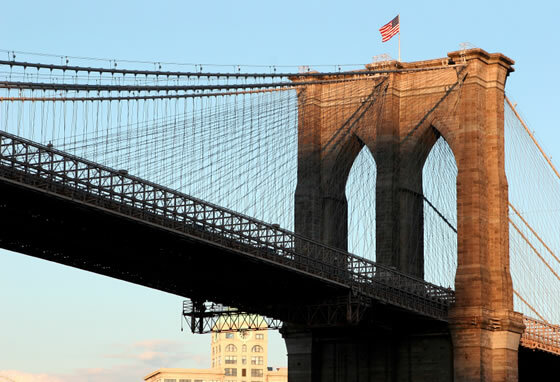 Brooklyn, improbably, made the list of top worldwide tourist destinations put out by Lonely Planet, a slightly granola guidebook empire. “Any New Yorker worth their street cred,” the endorsement begins (pronoun-antecedent agreement not being one of Lonely Planet’s strengths), “knows the new downtown lies just across the East River.” Beyond the usual sites, Lonely Planet spies have sniffed out some fairly obscure local spots to recommend — among them Alma, a Carroll Gardens Mexican joint, and Barcade, a Williamsburg watering hole. “I’m not a big fan of hipsters,” says a Barcade co-owner, who seems to think he installed dozens of vintage arcade games in the bar to repel the demographic. “But I guess it’s sort of exciting that they’re attracting people from the outside.” Not so fast, barkeep: BlueList 2007, the guide containing this Brooklyn-trumpeting, is also the first Lonely Planet edition with a section on “dark tourism” (i.e., celebrity death spots and disaster areas). Coincidence?